Available in 60" deck with optional suspension seat options the all new King Cobra offers Hydro-Gear transmissions and triple laminate cutter housing mounting. 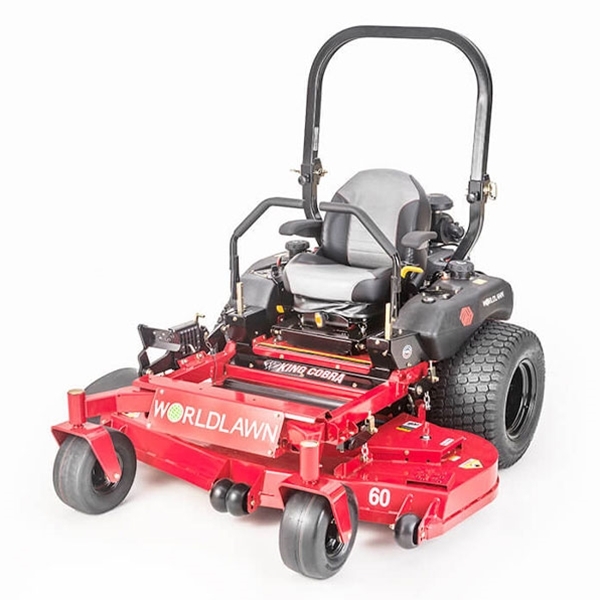 The new King Cobra holds hills better, mows faster, and is more durable to surpass all expectation of a residential zero turn mower. The King Cobra features a R.O.P.S. and has a cut quality to rival Toro and Exmark. It also comes with a limited 10 year deck warranty. Height of Cut (in.) 1.5" - 4.75"